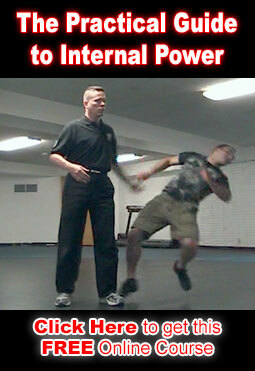 Training to survive against multiple attackers is an essential part of self defense training. In Clear’s Silat we always assume there is more than one opponent. Any time you see a principle being shown against one attacker this is only being done to keep the lesson simple so you can learn faster. As soon as you have a technique down begin training it against multiple opponents. Here are 5 things to keep in mind while training for multiple attackers. Don’t let them surround you. Make sure there is always one person in between you and everyone else. You must stay moving constantly or they will surround you. Learn to use all your techniques while walking and running. Any time you spend dealing with an attacker allows the others to catch up and surround you. Do not fully engage or square off with anyone and avoid any unnecessary contact or entanglement. If you must make contact with an attacker make it quick and make it count. 1 Touch Knockouts are about learning to put your entire bodyweight into a hit while keeping the strike as easy and effortless as a quick touch. This is essential for multiple attackers because it allows you to do considerable damage without any wasted time or effort. If they try to stab you use their knife against them. If they try to shoot you use their gun against them. And if they bring their friends then use their friends against them. If an attacker brings you a punch make sure it hits their friend. If they kick you use their foot. If they try to tackle you use their body as a weapon. On Monday we will finally release the new Clear’s Silat DVD on Multiple Attackers. This video will take an in depth look at the strategies and training methods that are essential for surviving an attack by more than one person. Be sure to signup to our email list below so you will get notified as soon as it’s available. A great tight list. I’m iffy on #4 and #5, though. I think the point of view and attitude is right on, but in a real life situation? One touch knock out? It’s more difficult than I wish to admit (like hitting a home run in baseball). But on the positive side it means you won’t get knocked out with one touch, either. *Keep your guard up! You bring the weapons, I’ll use yours. Great mental attitude! However, I’d still feel more comfortable carrying my own weapons into a fight. I think you may have our 1 Touch Knockouts confused with pressure point work. Pressure points can be very hard to hit accurately in a real fight. Fortunately 1 Touch Knockouts are not about where you hit but how you hit. By definition they have to be as quick and effortless as a touch so they can be used while running or walking against a moving opponent. And because the quality of the “touch” involves transferring whole body weight you can hit them just about anywhere and they feel like you hit them with a sledge hammer. I agree with you on the weapons. I’d prefer to be armed ahead of time. However the best weapon is always whatever is most available at the instant you need it. The attackers fist is almost always going to be available to you so learning to use it (without getting hit in the face) is important. There are several drills on the upcoming multiple attackers dvd that will teach you how to use an attacker as a weapon in a real life situation. I’m a bit confused, but I mean no disrespect. Is it Silat or kung-fu? Kung Fu = skilled work. So a world class chef does kung fu. But usually Kung Fu refers to Chinese martial arts. Kun Tao = “fist way” is Chinese martial arts that have migrated south into Indonesia and Malaysia. There are many different Silat systems, there are many different Kun Tao systems and there are a bunch of Kun Tao Silat systems. Ours is a Kun Tao Silat system. So it is a mixture of both Silat and Kung Fu. This article on Kun Tao and this on on Kun Tao Silat will give you more info and history about these arts.